This is Iris’s current favourite course. The location, right in Bracebridge, is very convenient. The rest of the family will have no shortage of things to do nearby and it is a lovely setting and a pretty course with beautiful flowers, a large water fountain, beautiful rock outcroppings. 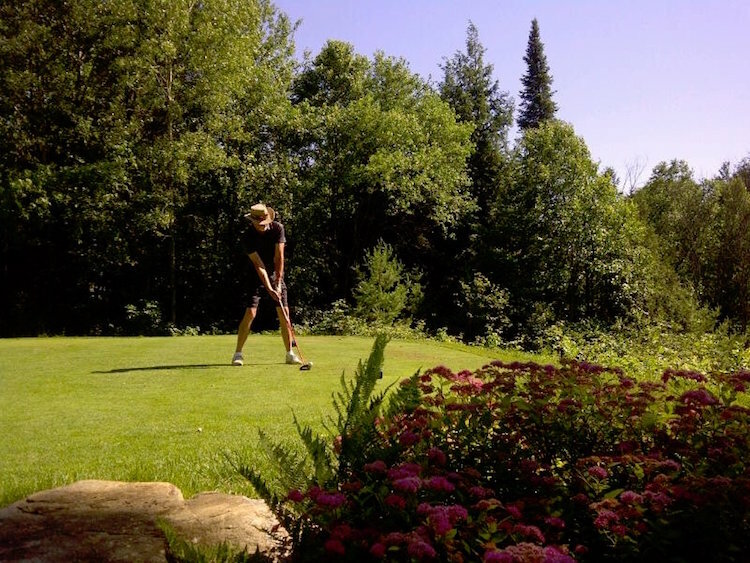 South Muskoka Curling and Golf Club is a well maintained, challenging course, offering good value. The 3rd hole is particularly interesting with a precision tee shot required and a stimulating green. Above: Jim, perfectly positioned to take the shot.